It is a pleasure to have its 2010 edition, coming along with the year of Argentina´s bicentennial anniversary. 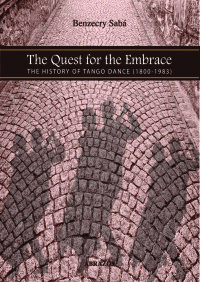 In this New Glossary of Tango Dance, Benzecry Sabá sets out with approximately 390 terms; he digs deeper in the description of Tango Styles and ads illustrative pictures of significant importance. He has also included from the eldest ´til the newest expressions –rooted in Buenos Aires– that build up the vocabulary of the tango dancer. He has also increased the number of professionals that had been asked about different subjects. This time, the book is presented exclusively in English with a knit, reader-friendly design. Thus, this is a book that is useful both for teachers and students, as well as for the versed dancers that had been able to witness the world-wide development of the dance that has been captivating the world´s attention for over 150 years. Gustavo Javier Benzecry Sabá was born on April 26th 1959, in Buenos Aires, Argentina. In 1982 he obtained a BS degree in Journalism. For fifteen years he conducted various radio programs and edited various graphic media. He then worked almost simultaneously as a Chemistry Teacher, Musician, Videomaker and Graphic Designer. His first book La mujer de los dioses, cuentos fantásticos, was published by Ed. Vinciguerra in 1999. Some of his work is also to be found in Cuentistas de fin de siglo, an anthology published by the same Publisher. He first discovered Tango Danza in the late 1990’s and started teaching the following year. He has specialised in men’s techniques, but has also studied women’s techniques in depth. 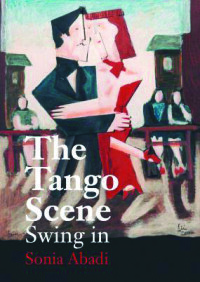 English reference work, and in 2006, La Pista del Abrazo – Técnicas y metáforas entre el Tango y la Vida, translated to different languages. Both books were published by Editorial ABRAZOS books. María Olivera, his companion in dancing and life. Nowadays he performs and teaches and lectures in Buenos Aires, the United States and Europe.